OnePlus 6 - Do Rumored Specs, Price and Features Makes It Worth Waiting? OnePlus 6 – Do Rumored Specs, Price and Features Makes It Worth Waiting? Yeah! The countdown has started for the much awaited smartphone – OnePlus 6. To be launched in a next few days, it has created a buzz all across the world. A lot is expected from this very much anticipated smartphone including its features, specs, performance, design, price and much more. OnePlus 6 launch is commenced on May 16, 2018 in London, England and May 17, 2018 in India and China. The phone can be booked at a few selected stores in Asia, North America and Europe from May 21, 2018 . The company announced to giveaway OnePlus goodies and branded backpacks to its early buyers. Amazon India is all set to accept online orders from 12 PM, May 21, 2018. Its website is welcoming people to set the notifying alarm to stay tuned with its launch event. In contrast to OnePlus 5T, OnePlus 6 is expected to be a little bit expensive. The rumored prices are $520/ £434/ Rs. 34,799 approx. for 64 GB and $749/ £625/ Rs. 50,000 approx. for 128 GB. OnePlus 6 screen is rumored as 6.3 inches (2280 x 1080 resolution) with edge-to-edge display with notch-clad. While its rear is expected to have fingerprint reader at the center with dual camera above it. The front frame would be aluminum and back would be a glass one. The glass back is introduced considering wireless charging option which is not possible with aluminum body. The screen on OnePlus 6 will be one of the biggest screens in contrast to its OnePlus precedents smartphones, but the size of the device will not be increased. The back panel will be textured and less curvy as compared to 5T. Talking about the physical aspects, it is expected to be 7.5 mm thick and 175 gm in weight. 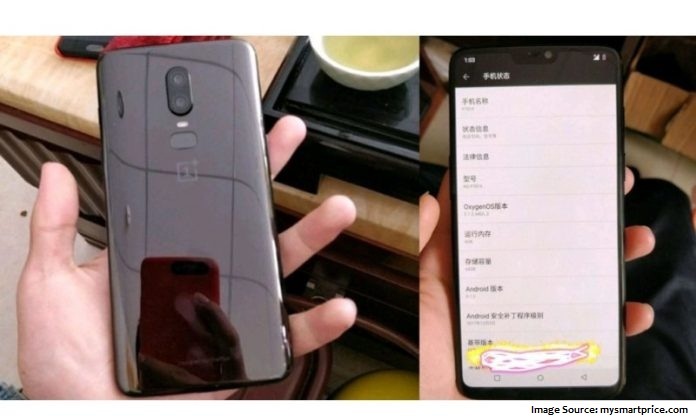 OnePlus 5T was initially launched in Black color, while OnePlus 6 is more likely to be launched in three colors; Black, White and a shade of Dark Blue. OnePlus 6 would boast 16 MP + 16 MP dual lens f/1.7 rear camera, while the f/2.0 front camera would be 20 MP. However, its overall performance will be justified, only if it qualify capturing the high quality pictures in low-light surroundings. When it is about videos, OnePlus 6 will be able to shoot Slo-Mo videos. And, usual videos can be recorded at 2160p@30fps, 1080p@30/60fps, 720p@30/120fps. But, the resolution is still to be announced. It is still a mystery, whether it will be able to give equal competition to other smartphones. The essential camera features including digital zoom, face detection, auto flash, geo-tagging, panorama, touch to focus and HDR (High Dynamic Range) mode will be introduced. OnePlus 6 battery will overcome the flaw of its precedent; OnePlus 5T. It will be Li-Po non-removable with 3,450 mAh. Since, the rear will be glass body, so it is more likely to support wireless charging. Or, in other case, it will be having fast charging capability supported by USB Cable Dash Charger. OnePlus 6 announced its octa-core processor to be Snapdragon 845 with 8 GB RAM for 128 GB storage and varied for 64 GB storage. Additionally, OnePlus tweeted a quote ‘The Speed You Need’, which reflects the fast processing of the device. Undoubtedly, the OS will be Android 8.1 – Oreo. Avengers: Infinity War has created buzz all across the world, so did OnePlus 6. For the users, OnePlus is expected to introduce Marvel-themed smartphone. As discussed above, the Hulk-size specifications including Snapdragon 845 chipset, 8 GB RAM, 16 MP+16 MP dual rear camera, 20 MP front camera and 64 GB/128 GB storage will definitely going to amaze the users. It may also have Avengers superhero paint job or clip of the movie. The exact content will be revealed with its release. All Set For OnePlus 6? OnePlus 6 will definitely going to impress with its super-stunning design and display and of course, its marvelous features including octa-core Snapdragon 845 chipset, 8GB RAM, 64 GB/128 GB storage, dual rear camera, slo-mo video recording and what not. 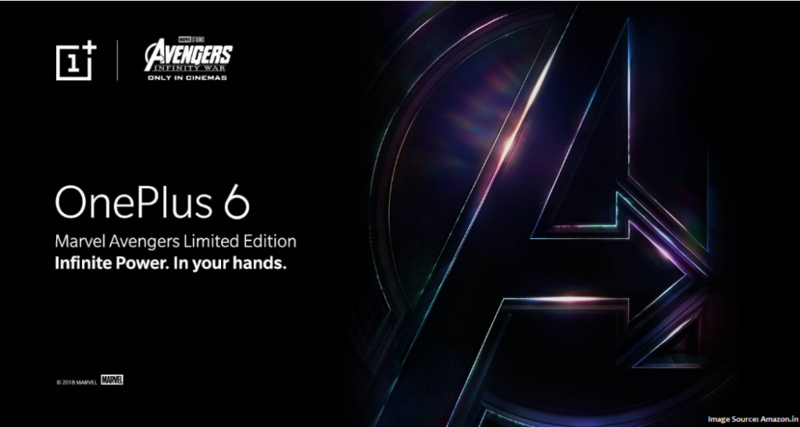 Introducing Avengers: Infinity War edition is the excellent move by OnePlus as OnePlus 6 is expected to boast super features akin to superhero powers. Although, a lot is rumored and a lot is confirmed, but what exactly OnePlus 6 users are going to bag will be showcased with its launch.